State No. 1 and undefeated American River College football (7-0) beat Feather River College on Saturday 44-8, and further cemented their position atop the state. Early on, it didn’t look like the game would be so one-sided, as the offense sputtered out of the gates and took a major blow when starting quarterback Tanner Trosin was taken out of the game with a sprained ankle late in the first quarter. 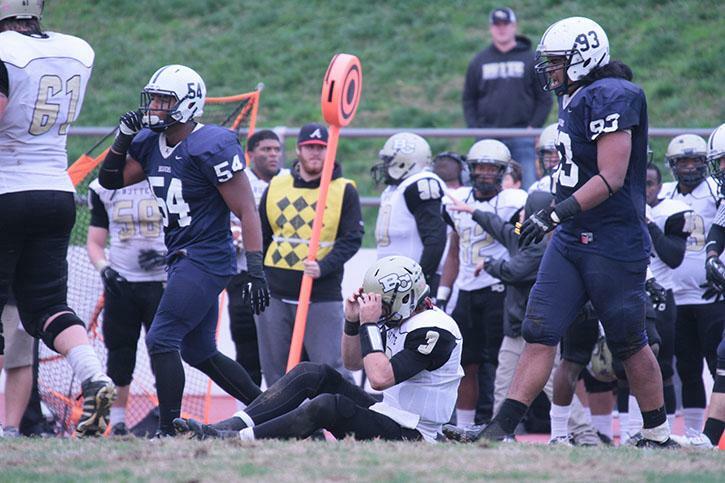 Trosin’s injury came on a sack that also resulted in fumble recovered by FRC (2-4). Trosin was helped off the field, and would use crutches on the sideline for the rest of the night. The score at the time was ARC 7, FRC 0, and both teams were struggling on offense. ARC’s score came on an interception returned 100 yards for a touchdown by sophomore defensive back Malcolm Scott. ARC head coach Jon Osterhout said after the game that the team is always confident in any situation, and that he wasn’t concerned that Trosin wouldn’t be coming back. “Next guy has got to pick up the rifle and go,” said head coach Jon Osterhout. 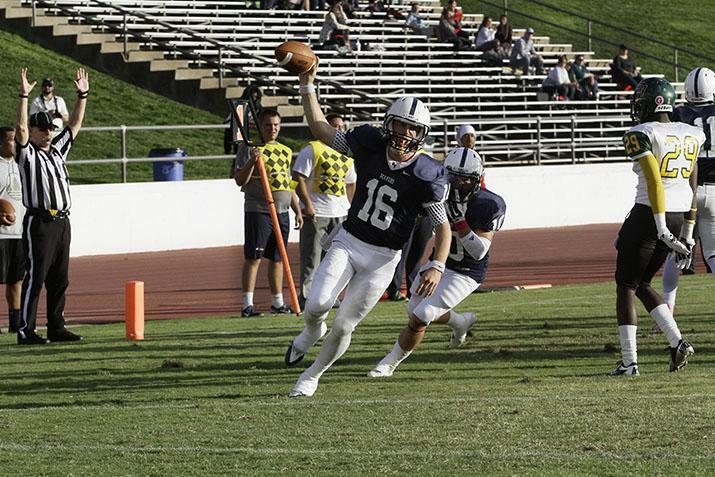 The rifle-picker-upper was backup quarterback Peyton Wilfley, who has received playing time in every game this season, but looked inconsistent in his playing time. It was a mixed bag for Wilfley against FRC. Though he threw two interceptions, he also had one passing and rushing touchdown each, and led the Beavers to a 38-0 lead before being replaced by fellow freshman quarterback Nick Modar. “I just wanted to stay calm and not rush myself, because I know the second the quarterback starts hurrying, everything breaks down,” said Wilfley. Wilfley finished the game 12-25 with 236 yards passing. Osterhout has repeatedly emphasized his trust in Wilfley, and seems to have benefited from Wilfley’s previous playing time throughout the season. No matter who is playing on offense for ARC, Osterhout and the coaching staff know that their defense will keep the team in any game. “We’re very good on defense, there’s no question. The statistics speak for themselves,” said Osterhout. That they do. ARC had eight sacks, pushing FRC back 52 yards total. They forced and recovered a fumble, and also intercepted two different FRC quarterbacks a total of three times, twice by freshman defensive back Kameron Williams. “I think our defense is one of the most solid defenses in the nation,” said Williams, who also had six tackles. ARC’s offense benefited from the performances of two players who had heretofore been quiet. Sophomore running back Casey Lambert had his best game of the season, rushing for 61 yards and two touchdowns on only eight attempts. Freshman wide receiver Troy Knox led the team with 103 receiving yards on just three receptions, and had one receiving touchdown as well. With three conference games left in the regular season, ARC seems to be on a roll, but much of that depends on Trosin’s status going forward, and whether or not Wilfley can deliver when needed. Wilfley promises to be ready when his name is called. “I prepare every week as if I’m the starter, regardless of the depth chart,” said Wilfley. Be the first to comment on "ARC football advances to 7-0 after crushing conference opponent 44-8"